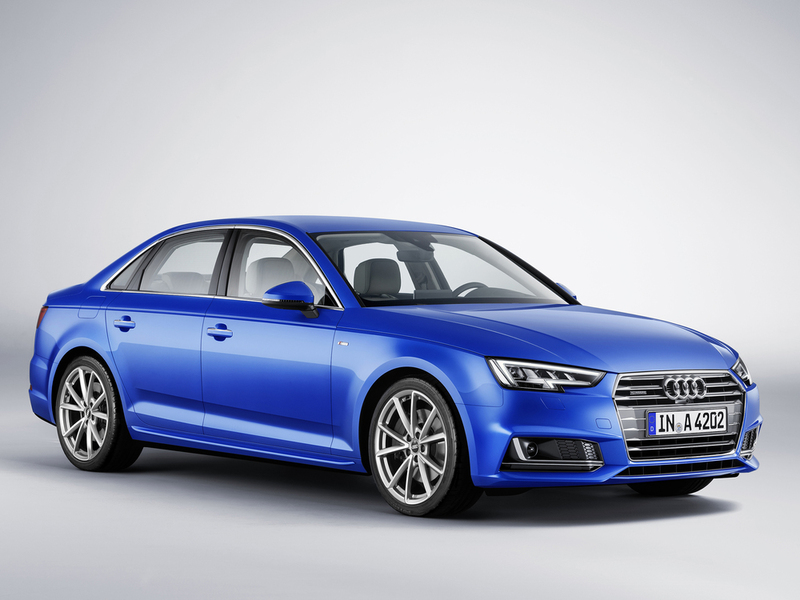 Audi has announced pricing and specification for the latest A4 Saloon and Avant models. The entry level Saloon starts at £25,900 OTR for the SE 1.4 TFSI , while the estate version - which launches in April 2016 - kicks off from £27,300 OTR. Sport models start at £26,850 OTR and £28,250 for the Avant (Launching April 2016) while entry to the S line range starts at £30,150 OTR for the A4 2.0 TFSI Saloon and £31,550 (Launching February 2016) for the A4 Avant 2.0 TFSI estate. The range-topping A4 3.0 V6 TDI quattro costs from £38,950 while the A4 Avant 3.0 V6 TDI quattro comes in at £40,350 OTR. 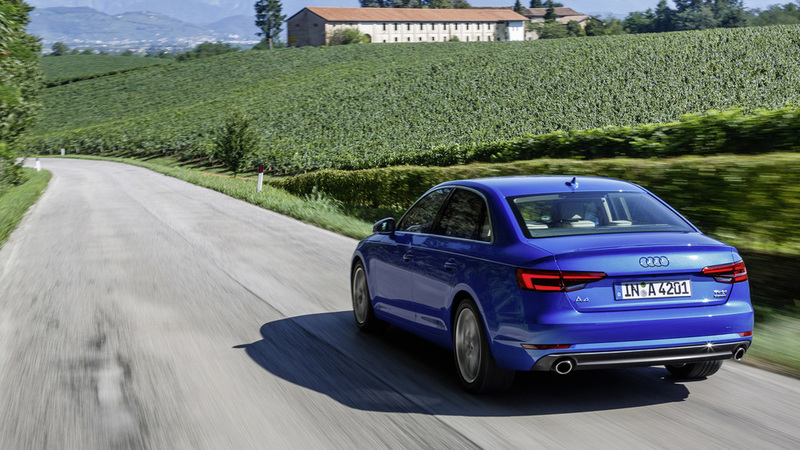 Due with their first UK customers in November, the 54 Saloon and Avant variants making up the launch range will be available with a choice of seven TFSI and TDI engines with outputs from 150PS to 272PS. Depending on the preferred engine, customers will have a choice of up to three specification levels, including the new Sport option which sits between the entry SE and top S line rungs that will be familiar to existing A4 drivers. The range is up to 120kg lighter, and up to 21 per cent more fuel efficient. The all-new platform and redeveloped six-speed manual, seven-speed S tronic and eight-speed tiptronic transmissions join specification options which offer plenty of 'technological sophistication combined with premium features that will greatly enhance everyday use' says the German brand. Examples of these in SE models include xenon headlamps with LED daytime running lamps, three-zone climate control, cruise control, rear parking sensors and the Audi smartphone interface, which supports Apple CarPlay and Android Auto platforms and displays smartphone contact and information such as navigation mapping on the A4's seven-inch colour MMI screen. Audi describes the line-up as featuring 'lauded quality of finish', sophisticated in-car technology, 'slick' and frugal engines to 'polished transmissions and highly effective driver assistance systems'.